We recently spoke with David Williamson, who graduated from Brighton in 2009 in Business Studies with Marketing. 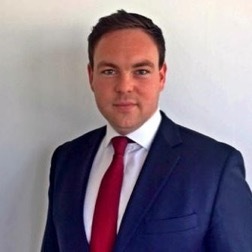 David is now working as an Account Manager looking after Capital Markets for network provider, Colt Technology Services. “After graduating at the University, I joined a small brokerage in Mayfair and worked as a dealer, trading and broking on the FX desk. I spent a year or so training and then worked on the Asian (overnight desk) for another 2 years. Unfortunately I had to leave for personal reasons as I could no longer work night shifts and in all honesty, fell into recruitment, which I did successfully for 3 years before Colt (a client at the time) asked me to join as an account manager. Network, Network and Network! Keep in touch and network with people in and out of your industry as much as possible. I got the job at Colt through the fact I made it my business to know the business and the individuals within it. Needs to be a wide array of people too! Old, young, male, female etc. A big blend of people in your network open’s your eyes to looking at things from different perspectives and you never know when their experience can help. Maintain your own brand – be proud of the work you do and align yourself as an expert consultant in that space. Think about the long term and not the quick wins. This helps generate long term trust and will eventually lead to sales (if you choose that path) or just much more fruitful business relationships. Some companies get their staff into bad habits. I’ve always approached it in a simple way: the company I work for is lucky to have someone like me representing them, but if that company closes down or you need to leave then you have a solid reputation in the market and moving on won’t be a problem. If the company you work for sees a sense of pride in your work, they will reward this type of behaviour. In what way is your degree/university experience relevant? “University as a whole definitely sets you up for the world of work. I knew shy people who came out of their shells at University and now have fantastic client facing roles that they wouldn’t have even thought of doing beforehand. I’ve also got friends who went to University with one passion and came out with totally different ones. Tagged alumni, Careers, employment, Graduates, Industry, Undergraduate. Bookmark the permalink.